T. H. Stone Memorial St. Joseph Peninsula State Park has 10 miles of untamed coast, 35-foot-high dunes, and a variety of camping sites and cabins. CAPE SAN BLAS — Initially Youngra Hardwick appeared eager to share her wisdom. She had succeeded where I had failed by snagging a waterfront cabin at T. H. Stone Memorial St. Joseph Peninsula State Park, And I wanted in on the secret. “There are some tricks to it. Every day different spots come open. So you have to get up really early in the morning.” Just as she was advising me about opening several Internet browsers, she stopped. “Wait! I don’t even want to talk to you about it,” she said. She was laughing, but she meant it. Hardwick, who traveled here from Columbus, Ohio, with her husband and two daughters, first stumbled upon the park, in Florida’s Panhandle and about 105 miles southwest of Tallahassee, while searching online for budget-friendly coastal stays. If you go to Port St. Joe, Fla. . . Many visitors, it seems, treat their time at St. Joseph as if it involved password-protected admission. During my three-day stay, several people asked how I had discovered the park. Check online travel forums and you can find users jokingly trying to dissuade others from visiting. It’s not surprising that folks want to keep this spot along the state’s “Forgotten Coast” to themselves. St. Joseph’s natural amenities include an unheard of (at least in Florida) 10 miles of untamed coast and 35-foot-high sand dunes, along with maritime forests and wildlife. The park’s 119 tent and RV camping sites are fairly standard, but the beach is just a short walk away over the dunes. The real treats are the eight furnished “cabins,” which look more like resort condominiums minus the television. And who needs TV when your backyard looks out onto the wide expanse of St. Joseph Bay? 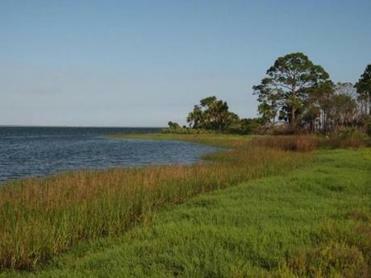 The Bayview Nature Trail passes through a salt marsh before reaching St. Joseph Bay. Luckily for the non cabin dwellers, water views are everywhere in this 2,716-acre playground. 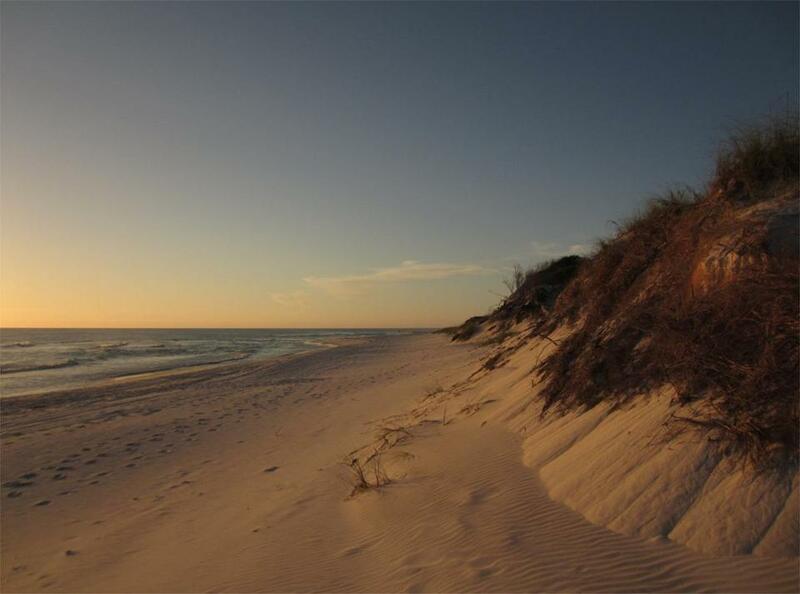 It sits at the tip of narrow Cape San Blas and is flanked by the Gulf of Mexico and the bay, giving visitors the opportunity to see sunrises and sunsets — only a few yards apart in some spots. Although the park has been anointed a “best of” by “Dr. Beach” and is frequently mentioned in national publications, its out-of-the-way location keeps traffic relatively low. Failing to secure a cabin in late May, even a few months in advance, my partner, Lina, and I were grateful to reserve a tent site. Nearing the park after a long day of driving, I wasn’t feeling optimistic as we reached the populated portion of Cape San Blas. What I suppose used to be rugged beauty is now vacation home after vacation home, not unattractive or even crowded, but not particularly appealing either. But when we arrived at the park border and followed a twisting road past beach scrub, live oaks, and sabal palms, I was transported back in time, when Florida was more sand than cement. When we checked in at the ranger station, I noticed that my cellphone clock had gone back in time with me. I later learned that we were so close to Central Time that cellphones tend to bounce from zone to zone. We camped in the aptly named Shady Pines loop, surrounded by many families with children who couldn’t get enough of the beach. One of our neighbors, the Comiskeys from Peachtree City, Ga., came with their son and two daughters, ages 10 to 16, for a two-week stay. 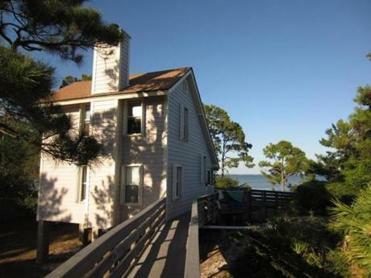 Demand is high for St. Joseph Peninsula State Park’s eight waterfront cabins. Because Lina and I aren’t hang-at-the-beach people, we spent our days walking and biking. (A general store at the park rents bicycles and kayaks, and sells food, drinks, and ice.) We cycled on St. Joseph’s four miles of roads and made use of the paved bike trail that extends nearly nine miles along Cape San Blas. We checked out two of the walking trails, the Maritime Hammock Trail, which winds through a coastal hammock to the bay, and the Bayview Nature Trail, which passes through maritime oak and salt marsh, and runs alongside the bay. Both take about 45 minutes. For hard-core hikers, the Wilderness Preserve Trail runs for 6 miles through 1,750 acres of pristine coastal land and sand pine scrub, and overnight camping is allowed. All were very enjoyable, but my lingering memories are of the sunset, first watching the dunes turn golden behind us and staying on until children and fishermen faded into silhouettes near the shore. On the way out of the park, I asked a ranger for tips on securing a cabin. So while I have no insider information to pass along, wherever you end up staying, welcome to the club.